Partners in Human Resources International (Partners International), a leading provider of high-touch career transition services, executive coaching, talent consulting and executive search announced the appointment of Debbie Jackson as Vice President of Business Development. Ms. Jackson, an industry veteran, joins Partners International to help accelerate growth in the Talent Consulting, Executive Coaching and Career Transition practices. Debbie will build upon Partners' loyal client relationships and drive business growth through new client organizations. She accomplishes this by serving her clients through listening carefully, building trusted relationships and ensuring solutions are a value-add to them and their organization. 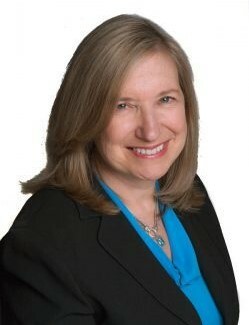 She has a reputation of collaboration with clients and consultants alike and a 15+ year track record of excellence in the career transition, executive coaching and talent consulting industry. Debbie holds a Masters in Social Work from Columbia University and an Undergraduate Business Degree from Western Michigan University. Ms. Jackson will be based in the Partners International New York City office. Prior to her appointment at Partners International, Debbie held senior level positions at Kinder Care Education, The Ayers Group, Right Management and Manchester Partners.